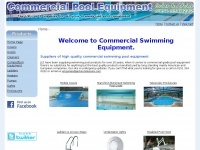 Chesham Moor Gym and Swim - Chesham's open air swimming pool and fitness centre located in the picturesque Chilterns, in Buckinghamshire. 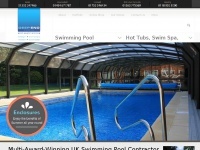 A spring fed heated open air swimming pool, (the outdoor swimming pool is available for hire), a fitness health ..
Planscapes Leisure Ltd Swimming pool installation & design Midlands and Surrounding Areas, we supply chemicals, accessories and offer full maintenance services. 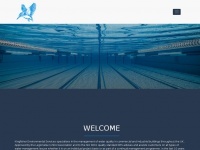 Bay Leisure specialise in the Design, Construction and Maintenance of Indoor and Outdoor Swimming pools, throughout the South West of England including Exeter, Plymouth, Torquay, Salcombe, and across Devon and Cornwall. 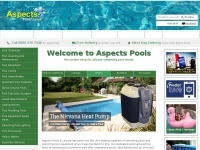 We supply both in the Domestic and ..
Find a professional pool installer in Bedford. 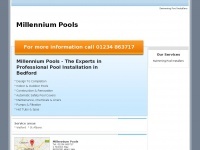 Dip into a new swimming pool installed by Millennium Pools. 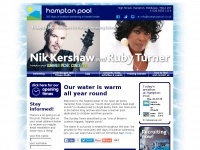 Hampton heated open air pool - 365 days of outdoor swimming in heated water - High Street, Hampton, Middlesex, TW12 2ST. Telephone 020 8255 1116.
pacelite.co.uk - Ready-mixed waterproof marble swimming pool liner for indoor and outdoor pools, paddling pools and animal and ..
Ready-mixed marble swimming pool liner and preform architectural features from Pacelite. 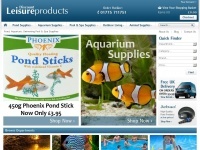 Easy to use and apply, full online application advice, large colour range, suitable for indoor and outdoor pools, paddling pools and animal and wildlife swim tanks. Self catering holiday cottage / home in rural Lincolnshire, England, couples, houses an exclusive use private indoor swimming pool, for the sole use of guests, sauna, hot tub / spa, secluded location in Lincolnshire Wolds, 2 bedrooms both with ..
robinsgarth.co.uk - Robins Garth - Children, Adult And Babies Swimming Lessons in West Sussex. 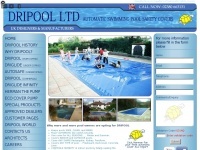 Private Pool Hire. 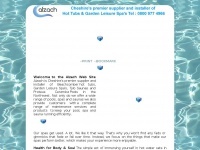 Swimming lessons in West Sussex, for babies and children.  With small class sizes and ASA trained instructors. In a great Hydro pool. 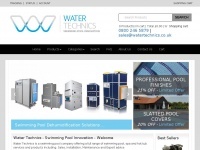 Kingfisher Environmental Services Ltd is the market leader in the testing of commercial swimming pools and spas, visiting over 1000 pool sites every month UK wide. 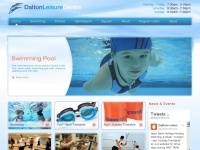 daltonleisurecentre.co.uk - Dalton Leisure Centre and Park, Dalton and Barrow in Furness, Cumbria | Swimming Pool, Fitness, Gym, Squash | .. The Dalton Leisure Centre and Park is located in Dalton-in-Furness in the Borough of Barrow-in-Furness, Cumbria. 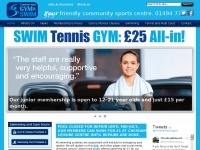 The Leisure Centre has a warm water swimming pool, children's splash zone, fitness and weights gym, fitness studio and glass backed squash ..